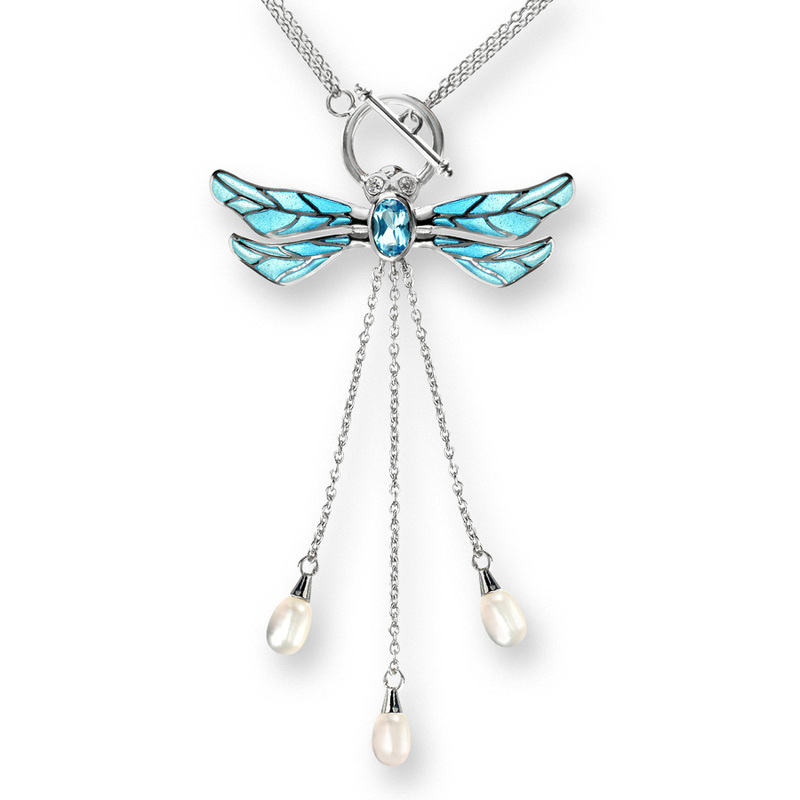 Plique-a-Jour Enamel on Sterling Silver Dragonfly Necklace - Blue. 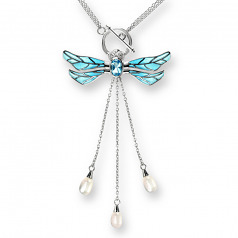 Set with .06TW of Diamonds, Blue Topaz and Freshwater Pearl. By Nicole Barr Jewelry.